It’s unclear whether Facebook will monetize Messenger by charging a small fee for money transfers, or offer the functionality for free to drive usage of its standalone chat app. That will be up to David Marcus, the new head of Messenger who was formerly the president of PayPal. 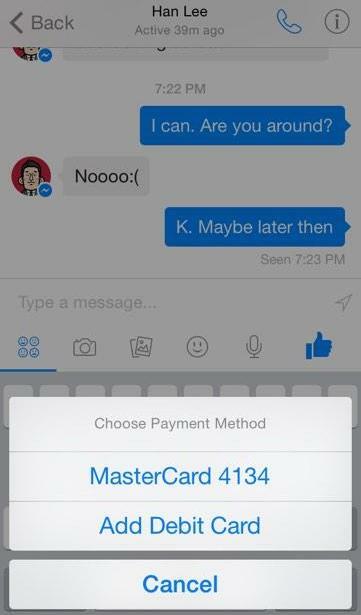 The presence of payments code in Messenger was first discovered by security researcher Jonathan Zdziarski last month. Aude tells me he used Cycrypt to dig into the Messenger for iOS code on his jailbroken iPhone and turn on the payments feature to nab the screenshots and video. 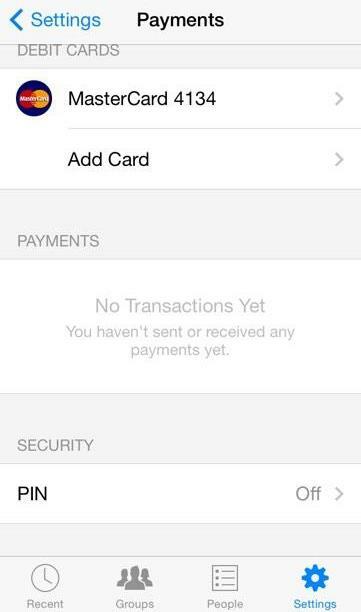 I contacted the company to inquire about Messenger payments. Facebook declined to comment.